What Is the Difference Between SA36 and A36 Metals? Concrete reinforcing steel, better known as rebar, adds tensile strength and reinforces the durability of concrete slabs. The proper size of rebar for a particular slab depends on the slab’s intended use, its thickness and strength and whether the rebar is the only reinforcement. Rebar and concrete work well together because they expand and contract in unison when temperatures change. Because oxygen cannot reach it, reinforcing steel that is fully enclosed by concrete does not deteriorate. Different sizes are appropriate for different jobs. Rebar usually comes in rods 20 feet long. Ribbed rebar rods, also called deformed rebar, allow concrete poured around them to grip the bar securely. To determine the size of a rod, the diameter is measured across one flat end. The measurement does not include the ribbing. The diameter size is given in eighths of an inch. For example, a size 3 rod has a diameter of 3/8-inch. Size 18 rebar has a diameter of 2 1/4 inches. Rebar in patios, basement floors, footings and driveways may vary from size 3 to 6. Contractors sometimes use the “1/8 Rule,” meaning the size of the rebar is 1/8 the thickness of the slab. For example, a slab that is 6 inches thick might have rebar marked as size 6 or 3/4-inch. 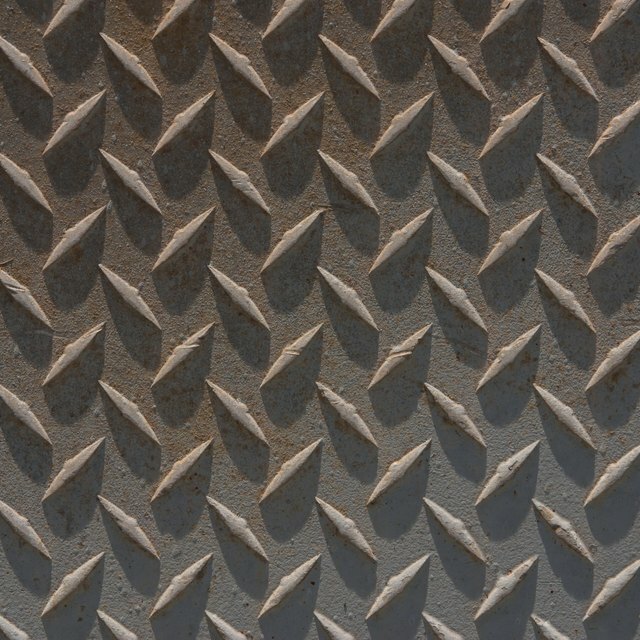 Slabs for septic tanks may require the use of both welded wire fabric and rebar. 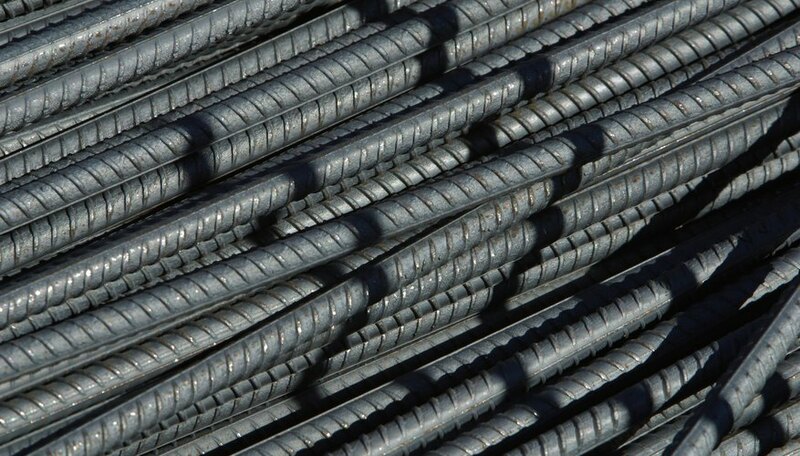 In such applications, using size 3 and 4 rebar is common. The spacing of the weld wire mat may vary from 6 inches to 18 inches. Closer mat spacing provides more strength to compensate for use of smaller-diameter rebar. Each rod carries markings to identify the mill, bar size, metal type and grade designation or minimum yield strength. The letter or symbol closest to the end of the bar identifies the mill. The bar size is just below that. Next you should find either a “W” or an “S.” “W” tells you the bar is made of low-alloy steel, and “S” is for carbon-steel, also called mild steel. The grade is given last and may be shown by a numeral or by lines running the length of the bar. One line indicates Grade 60, a grade often used for residential concrete construction. Grade 60 also may be indicated by the number 4, which stands for Metric Grade 420. Check your state and local building codes for concrete and rebar requirements and recommendations before starting a new project. Strength needed under compression and tensile strength, which is the greatest stretching-type stress that reinforced concrete can bear without tearing apart, will determine the formula and thickness of the concrete itself as well as the type, grade, size and grid spacing of the rebar. McLean, Donna. "Rebar Size for Slabs." Sciencing, https://sciencing.com/rebar-size-slabs-10028290.html. 10 March 2018.